HealthStart, India’s healthcare focused incubator, has partnered with HITLAB to organize HITLAB WorldCup,India 2015. HITLAB is a New York based healthcare innovation lab focused on helping its partners ideate, create, evaluate and diffuse healthcare technology. 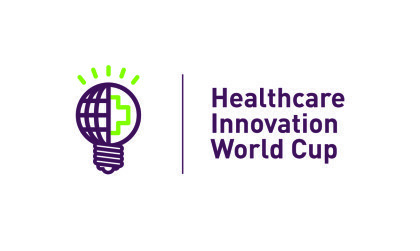 HITLAB World Cup is a global healthcare innovation challenge annually organized to promote the rapid diffusion of technology based healthcare startups that will improve global public health. This year HITLAB and HealthStart have joined forces to provide greater access to investments, acceleration and mentoring opportunities for the winners of the India challenge. “HITLAB World Cup in collaboration with HealthStart is a unique partnership aimed at providing promising healthcare innovations in India a global diffusion platform,” says Dr. Nishita Rai, Executive Director, HITLAB. The HITLAB World Cup India is to be held at IIT Delhi on 7th August. HealthStart Accelerator 2015 program will feature start-ups chosen from the HITLAB World Cup India applicant pool. In partnership, HealthStart and HITLAB unite the best of India and global expertise, networks and programs to offer a unique opportunity for healthcare start-ups in the country. HealthStart Accelerator 2015 is a one of its kind accelerator focused on supporting healthcare startups exclusively. All HealthStart Accelerator companies not only receive funding but will have access to all support services and access to global networks and mentors. Additionally, one selected start-up from the program will get an opportunity to make a presentation at the Global HITLAB World Cup in New York. It seems like a good avenue for healthcare startups to raise funding as well as tai guidance. Applications are now open for the first cohort in the healthcare space. Interested entrepreneurs can submit applications at www.hitlabsummit.com . The deadline for applying to the program is July 17th, 2015.